What happens when the king of vegetables meets the queen of shells? Well, it can only be magically delicious, right? 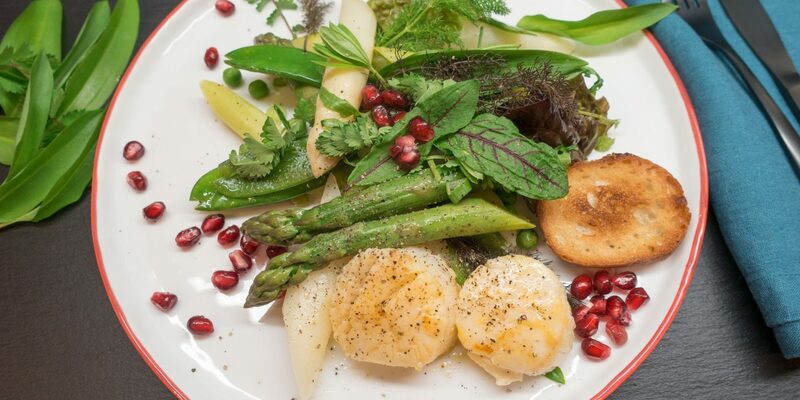 When wild herbs, sugar snap peas, young peas and pomegranate seeds join asparagus and scallops, the taste sensation is perfect. And the best thing is: this delicious dish is on the table in half an hour!